Mennie Lolai is known among his clients and peers as being extremely self-motivated with an insatiable thirst for knowledge. These two character traits are the driving force behind his success in each transaction. Personable and professional, Mennie sets the bar high and achieves his clients’ goals while giving them the care and attention they deserve. 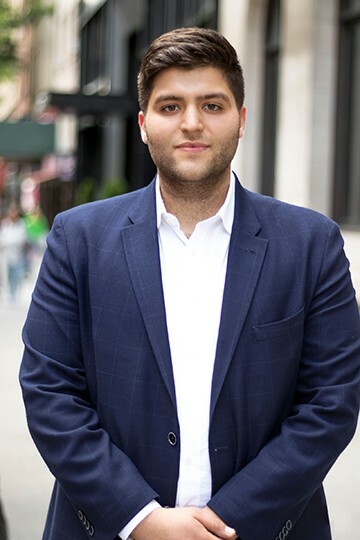 Before starting his career in the real estate, Mennie worked as a jewelry sales associate in the high-end wholesale jewelry industry for three years where he established a proven track record in assisting customers identify and purchase products suiting their needs and preferences. With a strong foundation in many different facets of business, Mennie in confident in the continued success of his real estate career and looks forward to helping you. On his free time, Mennie enjoys watching and playing sports, especially basketball and soccer. When he's not out and about showing properties, he can be found cheering on his favorite teams, Liverpool and the Knicks.